If you describe a customer’s decision-making process in the simplest of terms, it looks something like this: Your business offers a product or service someone wants, and the customer buys it. Pure and simple. But once you look beyond the basics into the nitty-gritty of customer “journeys,” you’ll find it's a bit more complex. 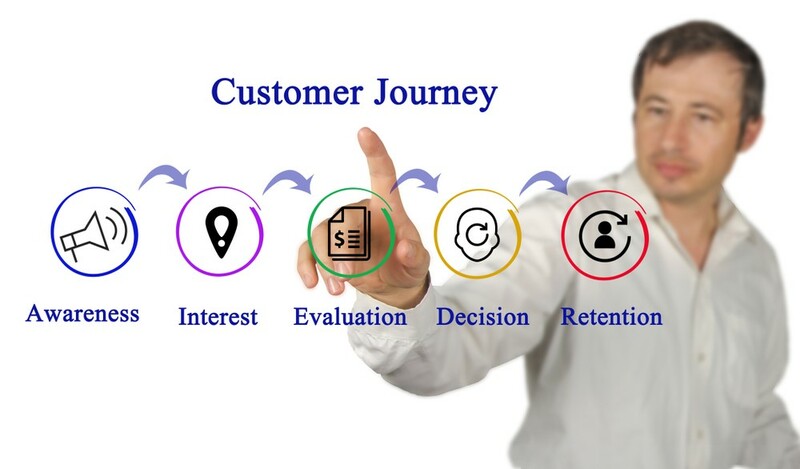 As Retention Science notes, the customer decision journey has traditionally been depicted as a funnel. For instance, someone who shops for a new set of golf clubs may have initially looked at numerous options, including the brand names with which he was familiar and which companies were offering sales. As he narrowed down his options, he would consider fewer and fewer companies until he finally decided which company to go with — one to which he would then feel a sense of loyalty. The traditional customer journey funnel is now mostly out and has been replaced by a decision-making journey loop, which features a loyalty cycle after a purchase. While customers are definitely still seeking great products at affordable prices, the way they go about it has shifted from the funnel to the loop. With the loop, our golf-club-buying friend will look at a number of brands, based mostly on his perceptions. As he starts to gather information on the different brands, he will eventually make a decision and buy his clubs. But rather than stay true to that "winning" company, the new customer journey loop involves a consumer building up expectations, based on experience, to help determine where he will shop next time. In other words, the fact that a customer has purchased something from you does not guarantee they will be back again. So when the shopper is ready to buy golf accessories, the buying cycle will start again. The overall customer experience is the single most important factor consumers consider in their decision-making process, ahead of both price and actual product or service. While there is no one-size-fits-all approach to the customer journey, offering superior customer service from start to finish is definitely a key factor for keeping companies in the loop. For example, one way that businesses may be able to increase customer loyalty is by employing an interactive voice response system. This technology can predict a caller’s intent, adapt to any fluctuations and be proactive in calling a customer before a problem pops up. A customer who calls a company and uses this innovative form of IVR is sure to come away with a positive view of the business — and that their needs were understood and any issues were resolved quickly and without hassle. Another important customer service-centric approach companies can try is being immediately responsive to questions and concerns that pop up on social media. Offering a loyalty program that rewards customers with savings after a certain number of purchases and making sure your website is as user-friendly as possible are also good tips to try. With the switch from the traditional funnel customer journey to the new loop approach, business owners should definitely be aware of this new trend. Because, at the end of the day, customers want a great, memorable experience with any company. So continue to give them great products and prices and then up your ante with IVR and other customer-centric approaches and you should see your company continue to grow and thrive.